Do you want an abundant harvest of healthy microgreens? Whether you’re growing these nutrient-packed vegetables and herbs for your own health or to sell, these tips can help you succeed quickly. I’ve been growing microgreens for over 6 years and raised thousands of these tiny vegies and herbs in that time. Not only for our own use and good health, but also to share at public workshops and garden events to help inspire others. I love these babies and have learned SO much about their needs. 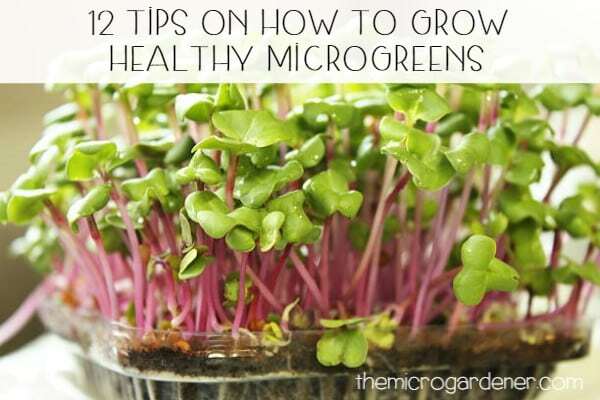 So, here are a few of my secrets to help you get a continuous abundance of healthy microgreens. As a gardener and cook, I couldn’t bear to have a garden without Basil. This fragrant herb is not only grown for its flavour but also its many health benefits. I use it in our kitchen as much for its delicious taste as I do for its medicinal properties. 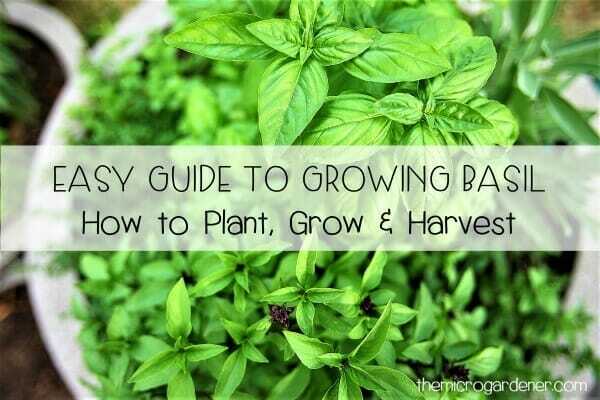 Interested in growing basil? Try it in a pot, garden or on your kitchen bench as sprouts or microgreens. Every year, I allocate ‘prime real estate’ space to basil in pots, as well as around my garden. Read on for how you can use this versatile herb. Basil Varieties – Which Basil should you Grow? Sweet Basil and Genovese are two of the most popular basil choices for pesto as they have mild sweet flavours. After seeds germinate, do your leggy seedlings look weak and straggly like this? Need some help? The stems on leggy seedlings are long and thin, but there are few or very tiny leaves. 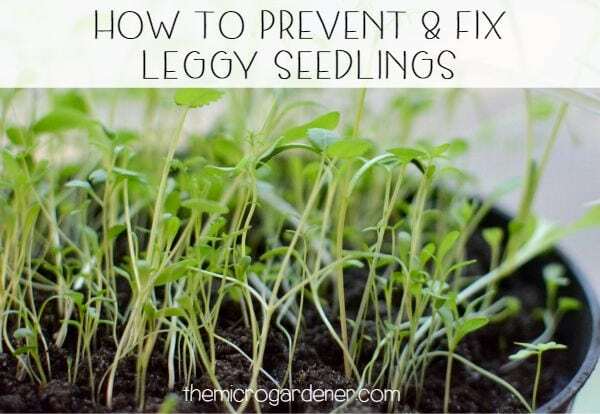 ‘Leggy’ seedlings typically have stretched skinny stems and look fragile. They may be bending forward rather than growing up straight with a strong stem. 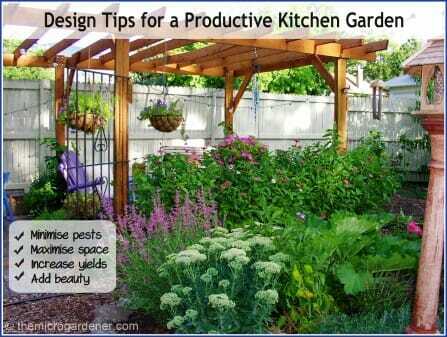 Are you growing an edible garden? One easy way to save money is to grow some of your plants for free. How? From leftover food scraps that are often thrown away! You may already be composting your kitchen ‘waste’. That’s a great way to build a healthy soil. However, it may save you money to be selective before throwing everything into your compost system. There are many plant parts that can help you propagate new plants. For minimal effort and no cost. 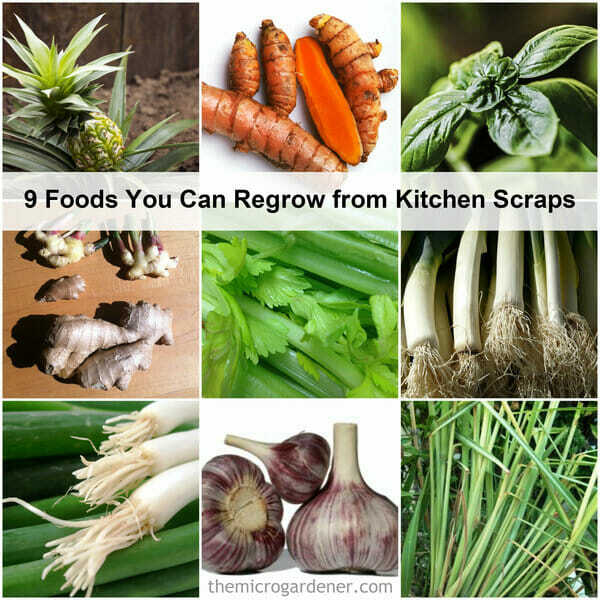 Why Should You Only Regrow Organic Food? First, a word of warning! For health reasons, I suggest you select organic vegetables, fruit and herbs. Too expensive? So is the cost of poor health! I think safe food is one of the best investments we can make. Sadly, non-organic produce is grown using chemicals. Not just one spray either. It’s commonly a cocktail of herbicides, fungicides, pesticides and other -icides. These are applied during the growth cycle and even after harvesting. These are often systemic chemicals. That means you can’t wash them off the skin. The chemicals are absorbed internally into the plant tissues through soil and water. Root crops like potatoes are especially vulnerable. Other crops are genetically modified or imported and radiated. Do you ever wonder why your plants don’t grow well? Or just survive instead of thrive? Sowing seeds or plants into ‘dead dirt’ just won’t cut it if you want to grow a healthy garden! If you’re a beginner gardener, there are some basic principles to learn so you succeed every time. You don’t need to spend much time, but a little effort every season to revive your soil in pots and garden beds will reap BIG rewards. Just like we thrive on a nutrient-dense diet in a stress-free environment, healthy plants need food and a happy home to live in too! Getting ready to plant new season crops in an established garden? Planning to sow seeds in new soil? Trying to revitalize tired container gardens? Building a garden bed from scratch? Do you ever feel frustrated when pest insects damage your plants? 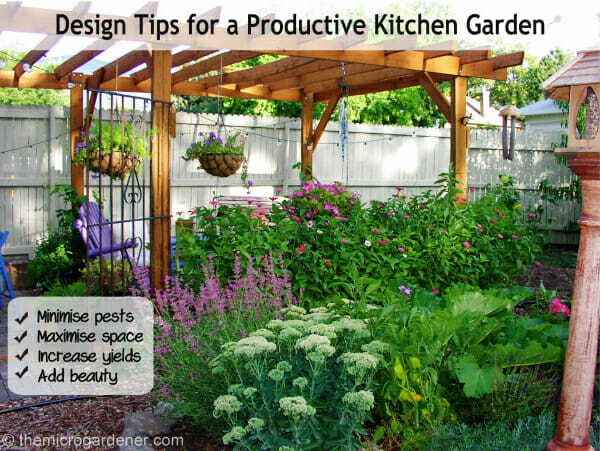 Wish your kitchen garden was more productive? You’re not alone! Even the healthiest gardens struggle with a few ‘unwelcome visitors’ at times. If you have limited space for your food garden, then losing precious crops, can be even more disheartening. Even improve some of your harvests. Do you struggle to raise seeds successfully? Are you a beginner gardener? Then follow this tutorial on how to be a successful plant ‘parent’. 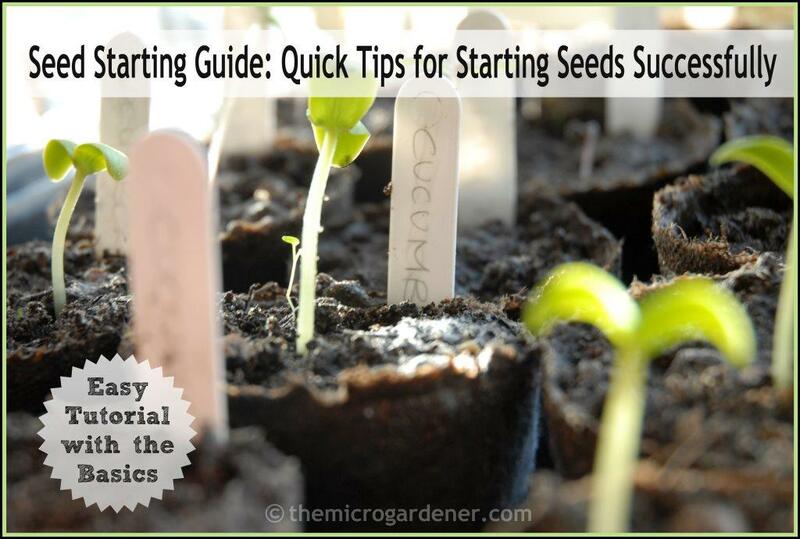 Avoid the most common mistakes when starting seeds. As a parent, there’s no greater joy than sharing the journey of nurturing a baby from infancy into a healthy young adult. But I confess – I’ve been a bad ‘parent’ many times … Before I learned how to raise my plant ‘babies’ successfully, they starved, drowned, died of thirst or neglect, too much love – or too little! If this sounds like you, then read on for my best tips. This is the kind of food I love helping people learn how to grow. A continual abundance of organic vegetables, herbs and fruits that sustain you with good health can be yours to enjoy. When I first started planting edibles in micro gardens, I made a LOT of mistakes. I wasted so much time and money. There were plenty of ‘dried arrangements’ (dead plants!) as a result. I struggled with poor harvests. 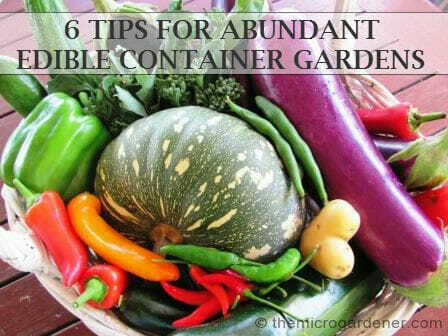 Over the years I’ve realised container gardening requires a different set of skills to growing directly in your garden. With some basic knowledge, delicious nutritious vegies are easy to grow at home in container gardens. These are 6 key techniques you can use to maximise your harvests. 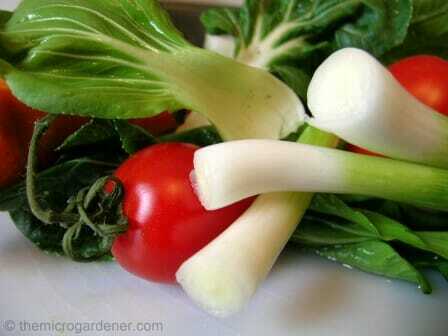 Grow a continual abundance of delicious home grown organic food. Tuck in! With pretty flowers, crisp green pods, climbing tendrils and delicate leaves, peas are an attractive and delicious addition to any kitchen garden. Best of all, every part of a pea plant is edible! Peas are little powerhouses! They may be low in calories, but peas are packed with a surprising number of antioxidants and anti-inflammatory agents. Peas are also high in micro-nutrients, vitamins, fibre, protein and minerals that provide us with a wide range of health benefits. Peas are annual vegetables. Best eaten raw and straight off the plant before their natural sugars turn to starch and lose their sweet flavour. 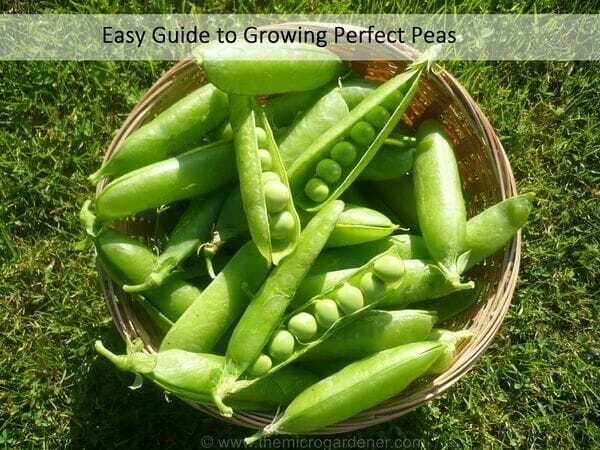 Peas are easy to grow, so are an ideal first crop for children and beginner gardeners. Second only to sprouts, microgreens are the quickest food crop we urban gardeners can grow! If you have limited time, space or gardening skills let me introduce you to growing microgreens. You can learn how to grow microgreens – tasty, nutrient-dense ‘fast food’ – in just a few easy steps. With sprouts, you eat the fully germinated seed. I think of sprouts as the ‘babies’ of the plant world. A seed that bursts open with the first root and shoot(s). Whereas sprouts are seeds that germinate by being soaked and rinsed in water, microgreens are grown in soil.